The kids used to make me tell them stories every night. Usual things. Why don’t boys care about love. Did you have any girlfriends before you met Mum and where do babies come from. They know but they just love seeing if they can embarrass their Dad. One night I got “Dad, what’s a stock exchange and what’s a share”. Now I know you know what it is but you might like the answer. Let me take you back to the sixteenth century and the rule of Queen Elizabeth. 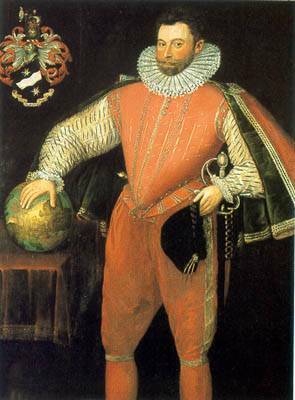 It was the era of the Elizabethan seaman and in particular Sir Francis Drake and his young nephew Sir Walter Raleigh. Drake made a fortune shipping slaves. Raleigh tried to populate and settle the New World. The New World (America) with its slaves, bananas and tobacco (things they didn’t have in England) was an early “tech boom”. Easy pickings, if you could get there, buy the stuff and get back. But to do that you needed a ship. The early entrepreneurs spent many years putting together the capital (money) necessary to fund a voyage. They would sell “contracts” (pieces of paper) offering the bearer a “share” of the profits made from selling the ship’s cargo (slaves, bananas and tobacco) on its return. With the money raised they would buy a ship, a captain would be appointed to the ship, the captain would appoint the officers and they would find a crew. And off over the horizon they would sail. The parallels to modern share ownership are apparent. 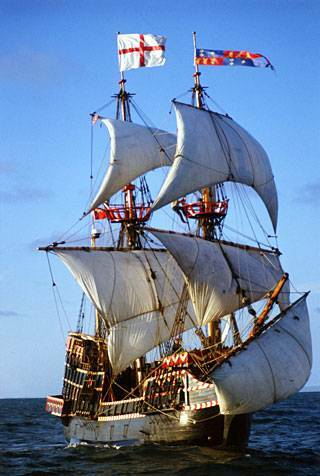 Compare the Golden Hind (Sir Francis Drake’s ship) to BHP. The ship is on an adventure to find slaves, tobacco and bananas and bring them back to England for sale. BHP is on a venture to find iron ore and coal, to take it to China and to sell it to the Chinese. The success or otherwise of the venture depends on the quality of the ship. Quality companies produce better returns. The success of the ship depends on the skills of the Captain, or who is in charge. If you had Sir Francis Drake or Walter Raleigh as captain of your ship you were lucky, they were good experienced seamen. Your shares in the ships cargo when it returned would be worth more. In the same way, the CEO of BHP (Marius Kloppers) has pedigree, he is a good commander. He adds value to your investment. The officers are the management. How experienced and capable they are has a big bearing on the value of your investment. The crew are the workforce. How much do you have to pay them? Will they mutiny? Will they strike? Have you got too many? Should you throw a few overboard? And the risks are similar whether you invested in a ship of old or BHP now. Will you sink? Will you be attacked by Pirates? Are there lots of ships doing the same thing? Or do you have a monopoly on bananas and will the government regulate prices. What are Banana, Tobacco and iron ore prices doing. Will they change before you get back? Can you lock them in? Can you sell forward? All these things change the value of your share. That sort of uncertainty might have prompted a man to want to sell his share in a ship before its return. Or his circumstances might change prompting him to want to realise (sell) the value of his investment before the end of the venture (return of the ship). Maybe he has to pop down to Ye Olde Bunnings to get some noggings to keep the wife happy. But who would he sell it to, and where would you find him. 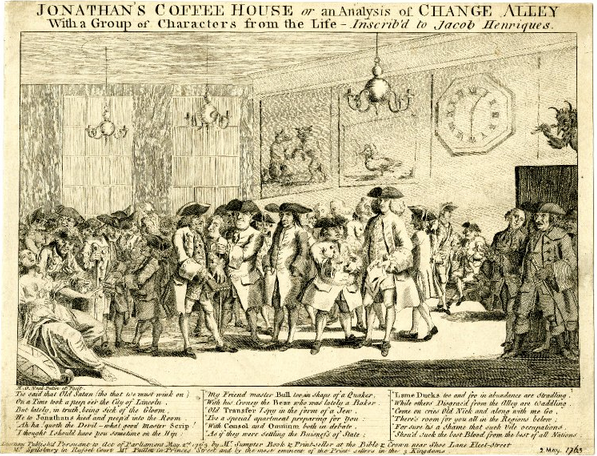 In London the place was the coffee houses. That’s where you would go to sell contracts which offer you a share ins a ship’s cargo. But often the potential buyer wasn’t there. It wasn’t as if everyone was flashing about in cars, or could pick up the mobile phone, so the coffee house waiters learnt a new art. “Jobbing”. They would buy the shares as an intermediary with the intention of selling them on when the buyer came in. Depending on the information flow in the meantime they could make a few bob. 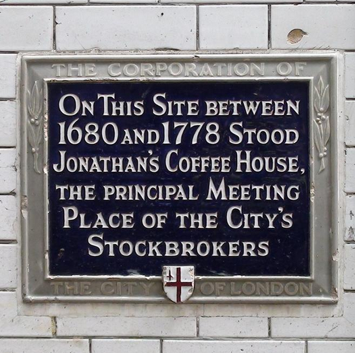 In 1698 a list of stock and commodity prices was posted at Jonathan’s Coffee House in London in Change Alley (now Exchange Alley) on the original site of the London Stock Exchange. And so was born the stock exchange, with the waiters as the first stock-jobbers (price makers). The warders that patrol the London Stock Exchange to this day still wear the same blue tunics with red lapels worn by the first waiters in the London coffee houses. Hope your kids like the story. It ends a bit sadly though. Sir Francis Drake died of dysentery. Sir Walter Raleigh was beheaded. Lets hope you do a bit better.